Coding for sepsis and sepsis-related conditions has always caused consternation. With the new clinical definitions released in 2016, and the coding rules that govern assignment for these critical conditions still shifting, it’s more complicated than ever to query for clarification and final code assignment. In light of the new developments in clinical criteria for sepsis and sepsis-related diseases, CDI professionals need to work ever more collaboratively with coders and physicians to ensure proper documentation and avoid claims denials. In this extended webinar, CDI experts Cesar M. Limjoco, MD, and Shelly McBrayer, BSN, RN, CCM, CCDS, will help participants understand sepsis pathophysiology as well as the coding concerns related to sepsis documentation. Attendees will also learn how the team at Chesapeake Regional Healthcare in Virginia tackled their query and documentation concerns, getting specific techniques to bring back to their facilities. (Nursing contact hours valid for live webcast participant only) - HCPro is accredited as a provider of continuing nursing education by the American Nurses Credentialing Center’s Commission on Accreditation. Cesar M. Limjoco, MD, CDI physician advisor consultant, has more than 25 years’ experience assisting hospitals with the improvement of clinical documentation. He has delivered CDI services to critical access hospitals, small community hospitals, regional referral centers, large academic medical centers, and multi-facility health systems, all while building a solid reputation of integrity and accuracy through peer-to-peer physician education and collaborative team building. Shelly McBrayer, BSN, RN, CCM, CCDS, CDI coordinator at Chesapeake (Virginia) Regional Healthcare, has worked in emergency, case management, quality, and CDI. 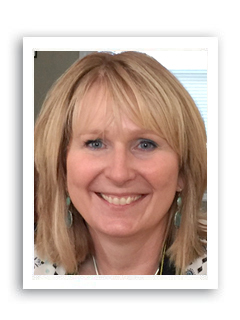 A nurse for 22 years, she joined the CDI team in 2012 and earned her CCDS in 2014. McBrayer is an active leader of the Virginia ACDIS Chapter and also serves on her facility’s ethics committee.